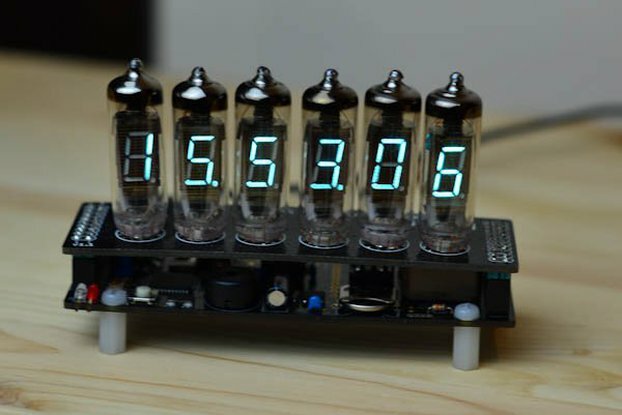 This kit features a pair of QDSP-6064 "bubble" 7-segment LED displays driven by MAX7221. It also includes a DS1307 RTC with backup battery. The board was designed as a shield for ProMini (the version shown in the photos for my other ProMini shields in the store). 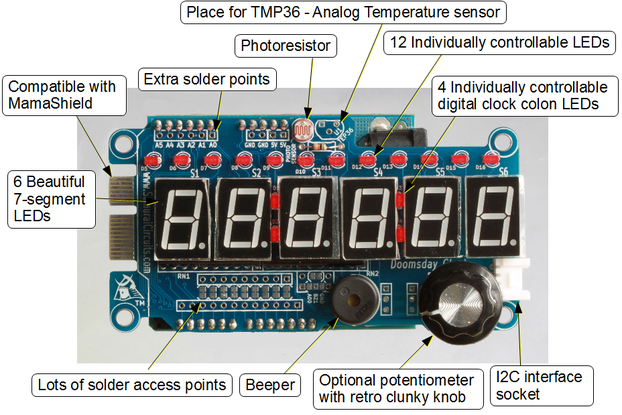 The main purpose of the kit is to make a basic clock that shows time formatted as HH:MM:SS, with 2 buttons to set the hour and the minute. More details can be found here.